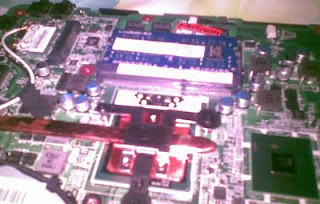 Upgrading RAM Acer 4738Z quite complicated, must dismantle the cover because it is not available under the memory slot cover. Minus the value for this Acer laptop designs. 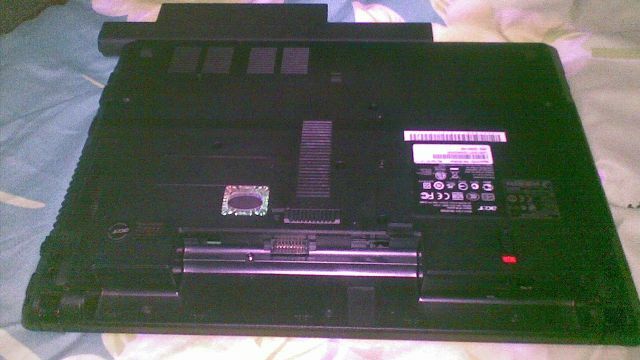 In connection with work requirements because of the software used quite severe, with heavy hearts this brand new laptop dismantled too:). 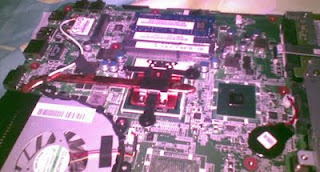 Memory built-in 1GB DDR3 PC10600, I added 2GB, 3GB total not bad for playing games:) ..
Lepaskan Batre, buka semua baut. Hati-hati agar lid display tidak rusak. Buka cover dari bagian batre terlebih dahulu. 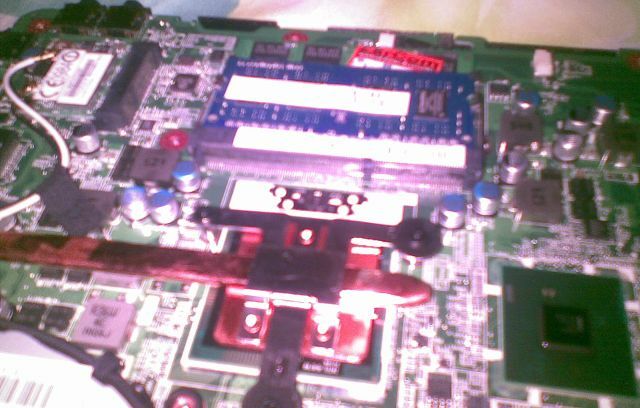 New memory is installed. 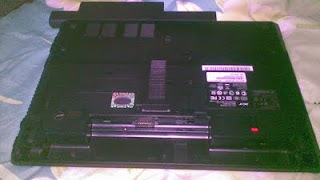 Replace the casing. Turn on the computer, enter the BIOS by pressing the F2 key when the computer starts runing. Check whether the memory has read all. Sometimes the new memory is not readable, try to exchange the position of the new with the old RAM.